The lawyers of WaldenReynard, PLLC come from diverse backgrounds, with broad experience across several types of litigation, conflict, and claim resolution. With lawyers licensed in Texas, Arkansas, Illinois and Pennsylvania, the firm is able and willing to offer advocacy, representation and consultancy services across a wide geographic region. Additionally, our lawyers have represented defendants in cases as counsel admitted pro hac vice in several states. The firm’s lawyers, practicing in a committed team approach, offer combined litigation experience of over 60 years, with a knowledge and experience base that includes science and engineering, coupled with many years of experience addressing issues of medical causation, risk assessment and industrial hygiene in the course of our defense of product manufacturers and premise owners in complex toxic tort litigation. Highlights in our practice include the achievement of defense verdicts in mesothelioma and other asbestos-related malignancy cases, successful disposal of such cases through summary judgments, and favorable resolution of serious cases through negotiated settlements. Other serious toxic tort matters in which we have appeared at trial but resolved without verdict are too numerous to list. 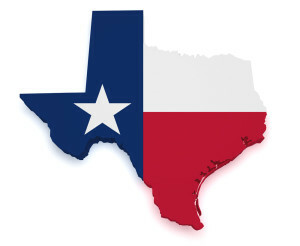 In Texas matters, we typically have served as lead counsel for our clients in the investigation, representation, negotiation, discovery and trial or alternative dispute resolution of significant wrongful death and personal injury cases. In other matters, our role has included service as trial or local counsel, with national or corporate counsel involvement and oversight. In any event, our philosophy is to serve and meet the needs and challenges of each client in each matter we undertake, recognizing that those needs and challenges will vary from client to client and from case to case. Walden Reynard lawyers have been leaders in Texas Asbestos Multi-District Litigation since the inception of the Texas MDL. Our experience includes numerous pre-trial and trial appearances for defendants sued as product manufacturers, premises owners and contractors. We have served as defense liaison counsel in multi-district litigation matters. Partner T. Lynn Walden often serves as lead trial counsel for our clients in litigation pending in jurisdictions other than Texas. The firm’s mass tort and toxic exposure litigation experience includes representation of product manufacturers, owners and operators of manufacturing facilities (including major petrochemical refineries and chemical manufacturing plants) and contractors in serious personal injury and wrongful death claims arising from alleged exposures to various substances, including but not limited to asbestos, benzene, butadiene, hydrogen sulfide (H2S), silica, and radiation.